Full Residential Interior Painting Services. (402) 894-9001 House Painters in Omaha, NE. We have been making the inside of homes all over Omaha beautiful and durable for over 25 years. Scott's Painting & Staining Inc. is one of Omaha’s most experienced and talented residential painting contractors. Our professional team of interior painters recognize the value and beauty in your home and investment. We take great pride and respect your home and the privilege of being inside, so you can feel secure while we’re working on your project. Since we use only the highest quality materials, paints and finishes along with our team’s attention to detail, you can rest assured your painting investment will last for years. We use only the best scrubbable and washable paints to hold up to any traffic or abuse they may receive in any room of your house. Need help choosing your colors? Ask about our Expert Color Consultation, we can help you pick out stunning colors to achieve your desired atmosphere. 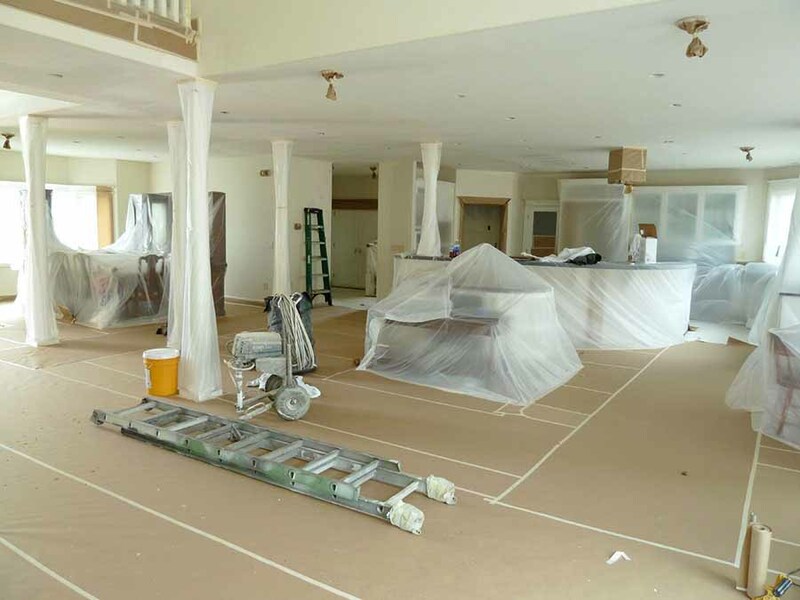 Prep & Painting Process is Key to your In-House Transformation! We take the time and use the materials necessary to properly protect the surrounding. Non-paintable surfaces such as windows, woodwork and trim work will be masked off with tape and paper or plastic. Floors and furniture will be covered. Wall are first repaired, including nail holes, scuffs or larger holes. We use only the highest quality paints and finishes, to provide peace of mind through durability and cleanability for years to come. Don't just enjoy your home, protect it with the right finish for the space. Consider if it is a bathroom, kitchen, playroom or entry-way. 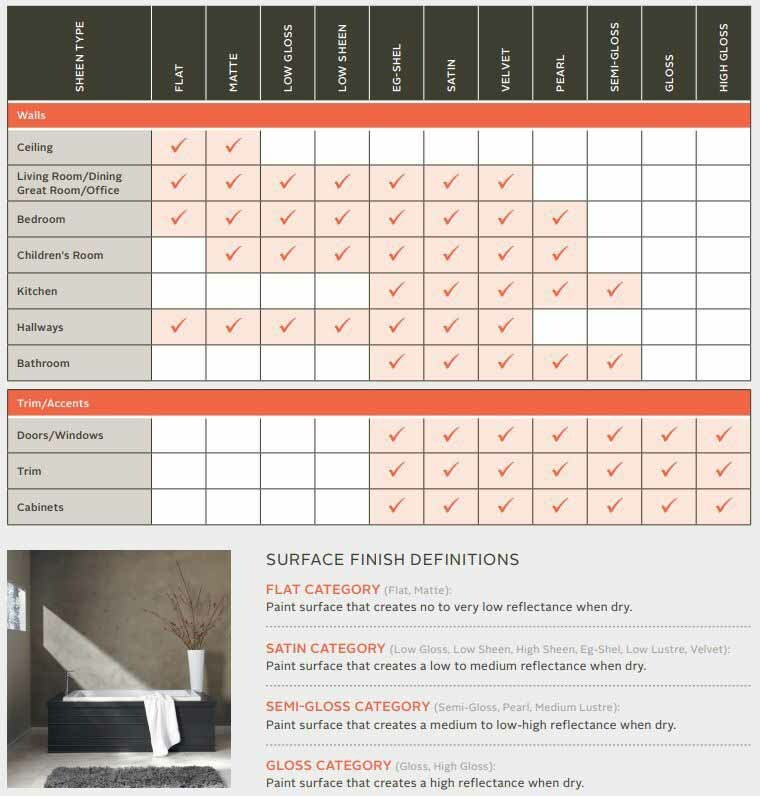 All these types of rooms may require slightly different paints and finishes, to achieve the best protection and finish. We can go through all of the option with you during a free consultation. We can repair and/or replace damaged areas on walls or ceilings. We will fill minor imperfections in the walls, such as nail holes, door dings and larger areas such as holes in the wall. For holes we may need to cut out the bad section and replace it with new drywall, depending on the size and extent of the damage. The new drywall will be blended into the existing wall, leaving a smooth new surface. If rain leaks through your home’s roof or a pipe leaks, the result is often readily apparent somewhere on the ceiling below the problem spot. Water stains often appear yellowish to brownish in color. We can help to identify the source of the leak, which should be addressed first before the area is refinished. Just painting over a water-stained area will not stop the stain from reappearing. We first seal the area with an Oil-Based Stain-Blocking Primer. Once the stain has been completely sealed, the area can then be refinished. Keep in mind the stain blocker only works for old stains, a new leak can possibly restain the area again. Many times, leaking roofs or skylights may cause water damage on textured ceilings or walls. We can repair and retexture any of these damaged areas. Next, the repaired area is primed with an oil-based, stain-blocking primer. Finally, the textured ceiling is painted, generally in a flat white to reduce reflections and glare. Call Scott's Painting & Staining today for free estimate. 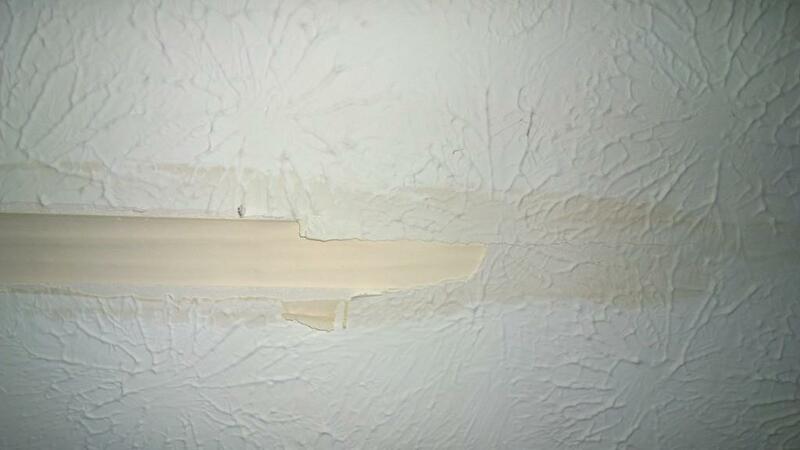 We offer all types of Textured Ceiling Painting Services, including popcorn ceiling painting. We remove wallpaper! Typically, after the wallpaper is removed there will be some damage to the drywall, unless the wall was properly prepared (primed or painted) prior to the wallpaper installation. We can repair and skim the surface of the wall to leave a perfectly smooth surface for the paint. Repairs after wallpaper removal is completed are typically charged at an hourly rate, since the amount of damage cannot be estimated. Scott's Painting & Staining Inc. does not offer wallpaper hanging or installation services. A very important area which needs addressed before painting begins. New, stained, patched or bare drywall needs to have a good coat of primer so the final painted finish will have a consistent sheen and finish over the entire wall. 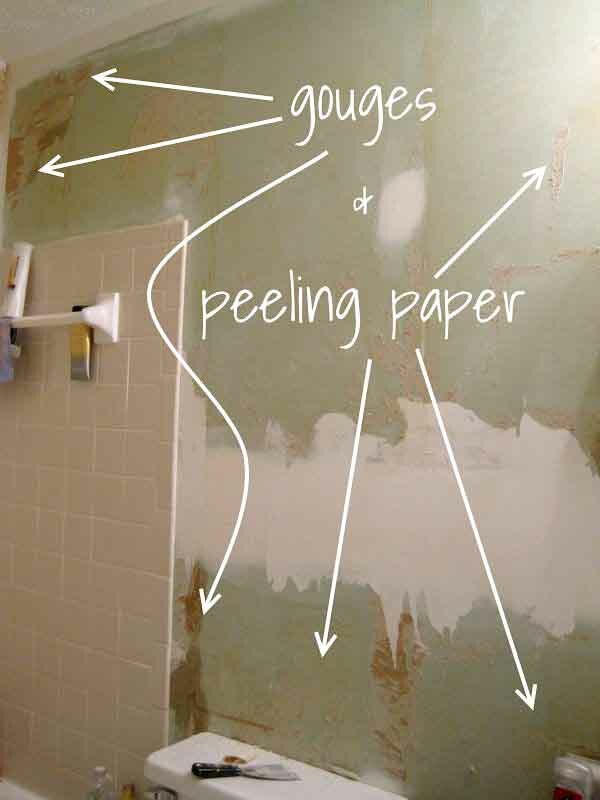 A coating of primer not only makes wallpaper removal much easier, but also assists with hanging new wallpaper. It provides a clean a uniform surface. All bare drywall will be primed with either a latex-based primer or an oil-based primer. Oil-based primers, such as Kilz, provide a barrier from water stains, crayons or other blemishes. When painting over bright colors, a latex-based primer may also be needed for better hiding and finish consistency. This can also be required for certain hard-to-cover colors like yellow or red. Before painting is started, we mask and cover areas that will not be painted, such as trim, mouldings, baseboard, doors, windows, floors and counters. Sheets and plastic may also be used to protect the areas when ceilings are painted. If your existing surfaces are stained, we will sand the entire surface prior to priming and painting. This takes the "gloss" off of the surface and gives the paint something to "bite" into. Once the surface is sanded it will be primed and painted with your choice of color and finish! Scott's Painting & Staining Inc. primarily uses Sherwin Williams Paints. Oil-based paint is more durable, but takes longer to dry, has a harsh odor and cleanup requires turpentine or paint thinner (mineral spirits). Oil-based paints are made with either alkyd (synthetic) or linseed (natural) oils. Oil-based paint is good for trim work because trim takes more abuse over time than walls. Latex paint is easier to work with and dries quicker, but it isn't quite as durable as oil-based paint. Based on your existing trim finish and needs, we can use either a latex-based or oil-based trim paint. Trim paints also contain enamel, an additive which makes the dried surface harder and less porous. Latex is good for general painting such as walls & ceilings. If you are sensitive to paint fumes, most all of the interior wall & ceiling paints we use are low-odor or zero-VOC formulas. Washable paints and scrubbable paints. We see and hear these buzzwords on paint cans, advertisements and at paint retailers. Are they one in the same? The answer is Yes and No. Both washable and scrubbable paints allow the homeowner the ability to clean their walls. However, there is a technical difference between the two. Washability is the ease with which washing will remove dirt from the paint's surface without causing damage. Washable products are made to release common household stains with little physical scrubbing and require only a wet cloth or a light detergent. If too much scrubbing is done on these "washable" products, the homeowner will scrub or "sand" through the finish, leaving the surface blotchy and making the finish or sheen, inconsistent. The surface would need repainted to look new again. Both paints are outstanding when it comes to washability, yet they are not highly scrubbable. Made to endure much more abuse. "Scrubs" are determined by a testing system by the manufactures that rates how many times a scrub brush moving back and forth on the coating before entirely sanding away the coating. It's like a toughness test. This test does not rate how easily a stain is removed from the surface. However, scrubbable paints tend to clean up easily. Offers scrubbability due to its durability of a nice smooth, yet hard finish. Knowing the difference between these two terms is important. When told a product is scrubbable, most homeowners are going to assume it can take more abuse and cleaning. Washable products are often sold as scrubbable products when in fact their scrub count (how many times the brush crossed the surface before breaking the paint film) may not be that high. If you plan to constantly wipes down the walls, you will want a scrubbable product. If you are painting your kids' room or a kitchen where common household stains occasionally occur, a washable product would be ideal since they will release the stain the easiest. Think of a crayon mark, you may not be able to "scrub" a crayon mark off. 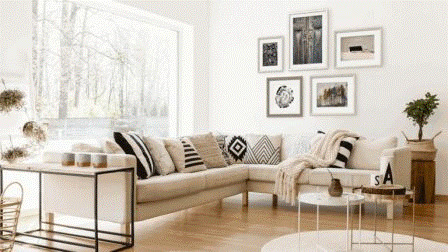 All items hung on the walls will need to be removed, such as pictures, shelves, curtains, etc. If you wish to keep existing nail holes, please leave the nails in them as an indicator so we will not fill them. Scott's Painting & Staining Inc. can remove these items for you if it is stated in the estimate. Furniture, drawers, beds, etc. which are against the walls, will need to be moved at least 2 feet away from the walls so there is access to prep, repair and paint the walls. Cabinets & Shelves need to be emptied prior to refinishing. If we are only refinishing the Cabinet Doors and Stiles, we may not require the cabinets to be 100% empty. We will usually remove the Face Plates, Register Covers and other items for you. In some cases, we may offer a discount if the customer would like to remove and reinstall these themselves.